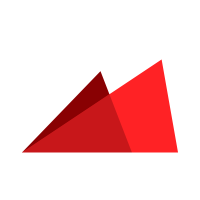 I am thrilled to share that I am joining Redpoint as a General Partner. This was not a quick decision for me as, having previously worked in venture capital and with close friends across many firms, I have developed a pretty clear perspective on the kind of firm I wanted to join and why. Satish shared the “what” related to my joining the Redpoint fam, as well as some of my relevant background here. I’d like to share more on my “why”, as that is invariably more interesting than any “what”. Why be a venture capitalist? I never intended to become a venture capitalist. Had we known each other when we were seven years old, I would have told you that I wanted to be an entrepreneur. My dad was a serial entrepreneur, whom I remember working long under- or zero-paid hours launching new products from our Seattle garage. As I write this, I still viscerally feel the excitement as the child observer; but mostly, I feel the stress. That stress — over money, over time spent with our growing family, over when to call it and get a “real” job when a new product wasn’t going well — affected me deeply as a kid. It also became my primary motivator to achieve, one that I’ve carried throughout my entire life. Maybe most importantly, this experience put the process of company-building forever on a pedestal for me as the ultimate adrenaline-filled sacrifice, and, paradoxically, the only thing I ever wanted to be part of. Several years ago I was spending virtually all of my waking hours — and most of my REM sleep — working through how to launch my own company. I had an idea that I was passionate about, with 10,000 hours of relevant experience in the space, and felt like it was the right time to take the plunge and start my own company. I spent most of a year working on it, and through that experience, I met someone who became a future co-worker and now lifelong friend. That person was Saar Gur, a General Partner at CRV. We talked about my idea over the course of many months and ultimately I told him that I was not going to pursue it further, given what I’d uncovered about the market. To make a long story short, this is how I ended up at CRV and came to spend the next 4 plus years learning what it means to be a venture capitalist. I learned to love this job and today I am more excited than ever to come back to it. I find fulfillment in helping founding teams as a trusted advisor and strategist. There are few jobs as challenging as that of an entrepreneur — you sacrifice your time and relationships, sometimes your family, and often your health. But, the rewards are outsized and hugely impactful to communities, customers and industries. There is nothing I am more dedicated to than to help enable that. Market timing is everything. I’ve come to believe this more and more over the years. Snapchat wouldn’t exist if Facebook hadn’t magnified the need for ephemeral communication among people who didn’t want to be on the same permanent social network as their moms. Robinhood was born only after eTrade brought day trading online but with capped frequency given transaction costs. StitchFix enabled access to more apparel options and a data-driven concierge shopping service, a possibility only after personalization had become an expectation and e-commerce a norm. And, global ride-sharing exploded as smartphone penetration became ubiquitous and the transportation infrastructure in cities was unable to support increasing urbanization. None of these businesses could have been built 10 years before they were founded. I know that I cannot avoid the question of diversity. This week, Forbes wrote an epic overview of the All Raise movement that is being led by 36 female General Partners, many of whom I consider close friends and mentors. I had goosebumps just reading about it and am both honored and enthused to be joining them in their pursuit. With my investor hat on, this is a group I would do about anything to get behind. So, yes, I am going to be the first female GP in Redpoint’s history. However, my gender — just like my eye color, height or any other attribute I cannot change — is not the reason I’m joining nor was it ever a part of the conversation I had with the Redpoint team. But, it is a part of the “why now” for me too. We need more diversity around the investment table so that we can make better decisions and fund a broader set of founders and ideas. I am thrilled to be one more voice in support of this. Fundamentally, there are only a few things that differentiate most venture capital firms. They are all selling the same commodity: cash. This makes it an excellent time to be an entrepreneur because, statistically speaking, you have more options now than ever before to fund your company. It also means that the job of a venture investor has changed and the bar for a great investor and board member is higher than ever. While every company is unique, they often face similar challenges and existential questions in their earliest days. Do we build for one-off enterprise customers or for higher volume SMBs? Do we hire senior managers and have them build their teams, or hire scrappy generalists and eventually add a management team? Do we fundraise more now or wait to hit a certain milestone before talking about a next round? These are questions best answered by people who have experience — other founders, operators or investors who have been around the proverbial block several times before and seen firsthand what works best. I never claim to have all the answers, but I have worn many hats, faced many of these questions myself and have a point of view backed by first-hand experience, a few battle wounds and loads of data gathered along the way. Some of the smartest investors I know focus almost exclusively on the “why.” It’s the decision criteria that tells you something about that individual, not the decision itself. You don’t get full credit on a calculus test for just writing the answer, you have to explain your order of operations. So what really makes venture firms different? I think there are four things: Services, Brand, Stage, and People. Services: When I talk with entrepreneurs, recruiting and customer introductions are usually referenced as highest value. A good venture firm should be able to help with that based on their experience and network. Brand: Brands in venture capital are built in the same way they are everywhere: by reputation over time. While reputation is an amalgamation of things, in venture the primary currency is previous investments made. Stage: This is self explanatory — do you invest in seed, A, B, growth, etc. We have entered the Softbank-era and capital is consolidating as larger funds are raised to be able to invest across stages. And then there is the most important thing: People. A venture firm’s internal structure is a reflection of its people and their values. For me, joining a flat and equal partnership was important. While this may be opaque to many, let me tell you, it matters. It is the economic manifestation of how investment decisions are made, how a venture team will work collectively for you (or not), and how that team will evolve over time. This is rare and it exists at Redpoint. So, yes, services, brand and stage were all considerations in my decision to join Redpoint. I wanted an early stage firm, with access to growth, and an experienced partnership who had already been working to build a stellar portfolio. Check, check and check. However, it was mostly about the people. Like, 90% about the people. I intend for this to be a 10+ year career decision and value alignment is critical. I also have enough self-awareness to know that I am a product of my surroundings, and I am going to spend a lot of time with these individuals: I genuinely care about who they are, what they value, and how they will act in challenging situations. I value growth mindsets and believe that every failure or new experience is something to learn from, not to avoid or sign off as irrelevant. There is no excuse for sacrificing your integrity, even when no one is watching. I value direct communicators who will call me out and who have the self-assuredness to appreciate my calling them out as well. I value strong work ethics. And, I value the art of being able to laugh at oneself. Starting and growing companies is not for the faint of heart, and adding some levity goes a long way. Ultimately, I am joining Redpoint because I discovered that they share my values. They are hard-working, intelligent, open-minded people who occasionally dress in costume just for fun. For me, it doesn’t get better than that. Excited to be back and can’t wait for what’s to come. Email me at annie@redpoint.com — I’d love to hear from you.